Welcome to the sun-fun season! Your mind is probably already on some beautiful beach. 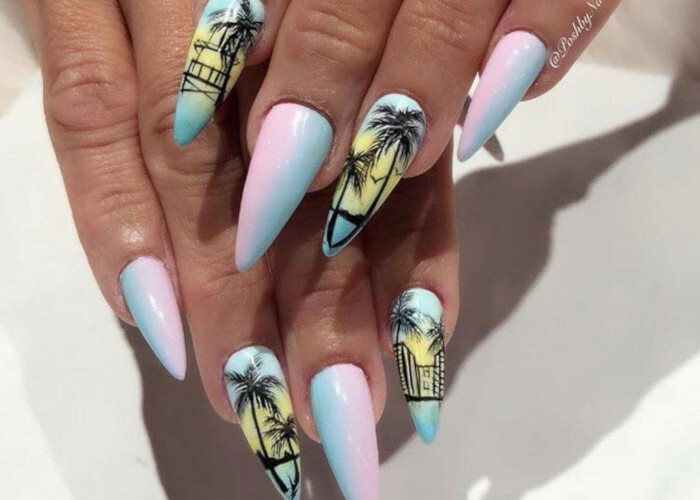 Before you get a chance to take off to some breathtaking	tropical destination, bring vacation vibes with your nails. 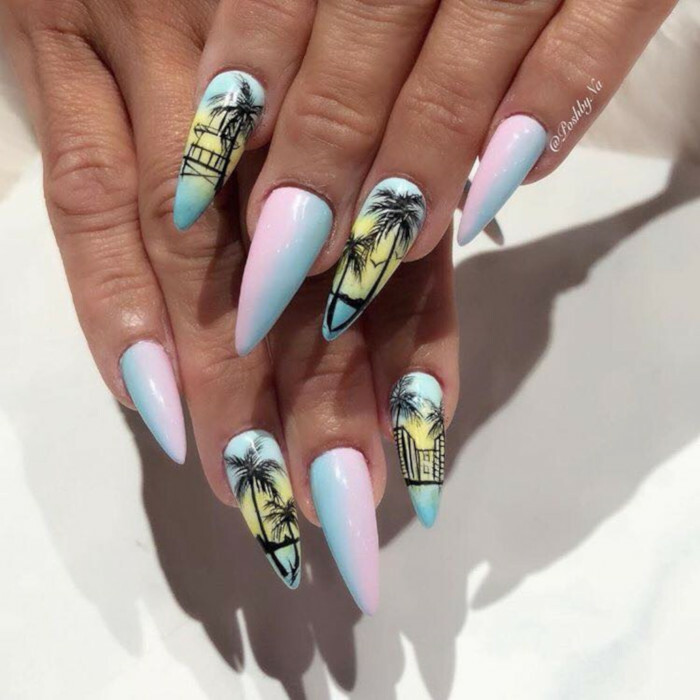 Here are our favorite vacation-inspired nail ideas for you to try this summer. Nothing reminds more of a tropical vacation than palm trees. Use baby blue nail polish as a backdrop and you’ll get the most relaxing manicure ever!